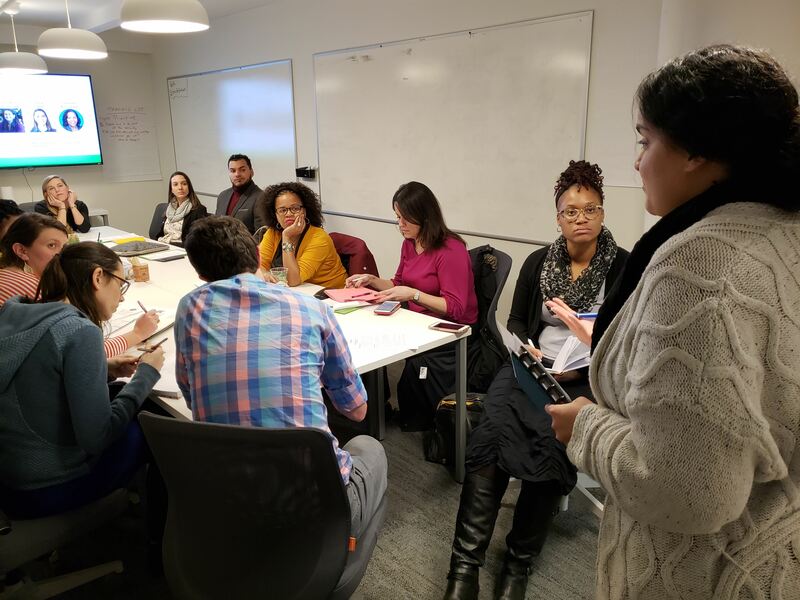 As we step into the new year and a new legislative session, members of E4E-Boston’s 2019 Policy Team are finalizing their recommendations for improving school culture. E4E teachers interested in developing policy solutions join local Teacher Policy Teams. The teams are composed of 10-15 current educators who meet weekly for several months to review research, meet with key decision-makers and experts, and conduct focus groups and surveys to develop policy recommendations. 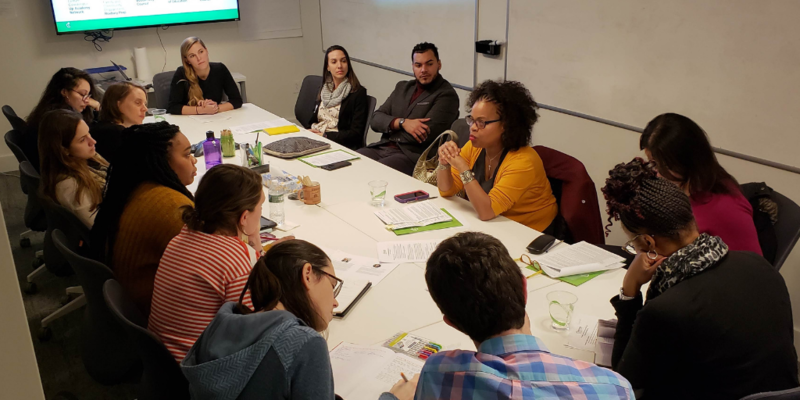 Last week, Boston’s Policy Team had a unique opportunity to discuss how public schools in Boston can better foster positive school culture with a guest panel of Boston policymakers, stakeholders, and advocates. Panelists shared personal stories of what inspired them to join the Policy Team and work on the issue of addressing school culture. Having been educators themselves, multiple panelists empathized with frustrations and challenges facing students, classroom educators, and staff. Panelists also spoke forcefully about the need for an equity-based lens in all discussions of school culture, opportunity, and achievement. Several panelists urged the Policy Team to remember that this means intentional discussions on race, power, and privilege from both historical and present-day contexts. The themes of flexibility and addressing local needs were also consistent threads throughout the panel conversation. This requires engaging and partnering with students and families to identify their actual needs, share resources, and find appropriate solutions. Because improving a school’s culture is a complex, multi-faceted process, panelists emphasized the need for all stakeholders to maintain growth-mindsets and solutions-focused attitudes when faced with inevitable challenges and setbacks. Ultimately, the Policy Team’s goal is to create recommendations that not only address the issues with school culture that they see in their schools every day, but that are also realistic and supported by a wide swath of Boston educators. The panel discussion helped bring together experience and insights from a diverse set of stakeholders who are all passionate about school culture and support the Policy Team in making a positive impact throughout coming year. The perspectives shared by the experts on the panel will be considered and incorporated as the Policy Team crafts their final recommendations. The Policy Team’s mail goal is that when any students walks into a Boston school, they enter a safe and supportive learning environment where they are empowered to be themselves, take risks, and stretch their minds, and where educators and staff are able to effectively lead, grow, and innovate. We look forward to unveiling the Policy Team’s final recommendations in a policy paper that will be released in March 2019!